Function：Waist device: Strengthen the liver, spleen and endocrine, relax the muscles and joints. Step device : Exercise the arm muscles and leg muscles, strengthen the flexibility and coordination of body. Use：Waist device: Standing on the round pedal and keeping balance. Clenching the armrest with two hands, and then moving the waist around. 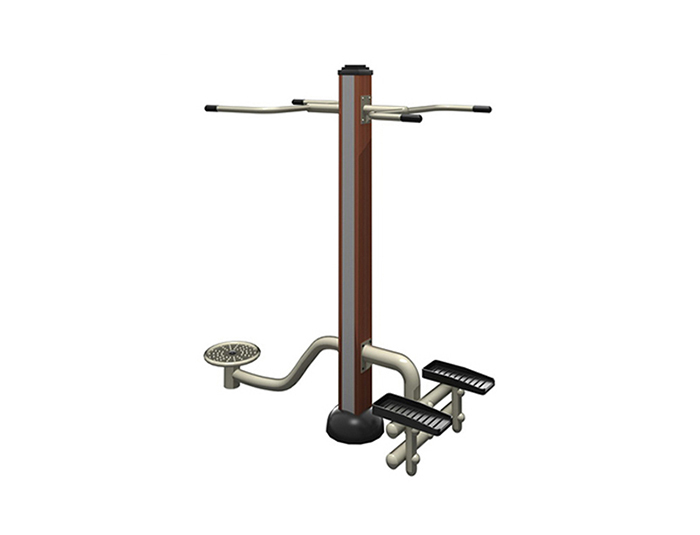 Step device: Standing on the equipment, clenching the armrest firmly, moving the legs up and down, keeping the arms moving accordingly.